When a headliner-type movie like Palme D'or Best Picture 'Uncle Boonmee Who Can Recall His Past Lives', you can expect familiar faces from the film community to come face to face, shoulder to shoulder. 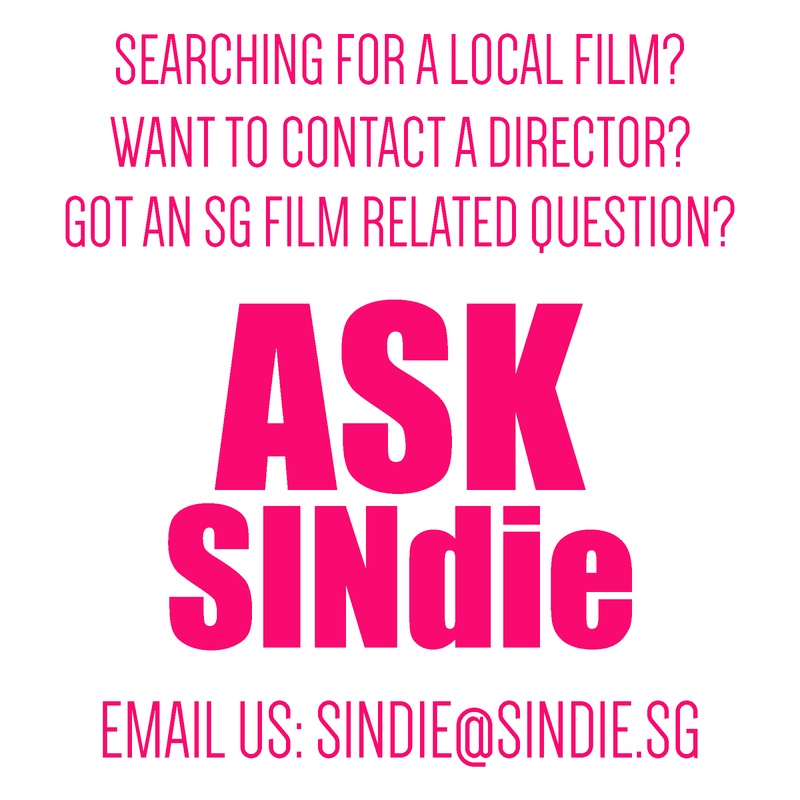 Here are some snapshots from the charity premiere on Saturday 15 Jan at the Cathay. 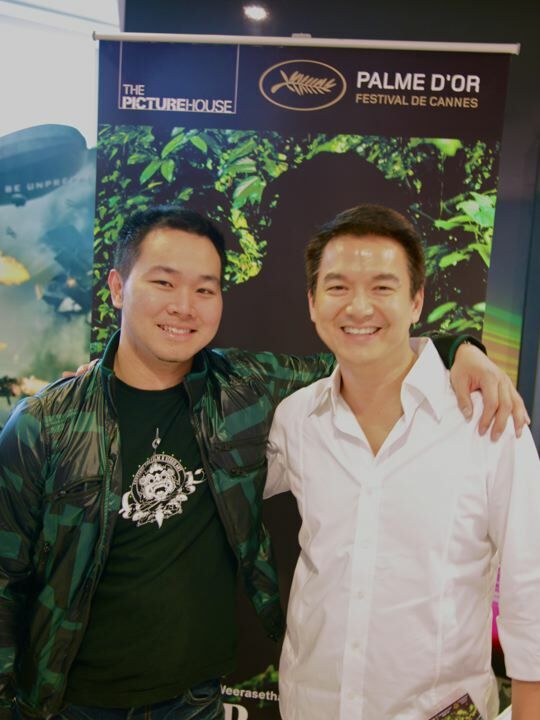 (Picture by Lai Weijie) Filmmaker Wesley Leon Aroozoo catches up with a friend during the post-screenig Q & A. (Picture by Lai Weijie) Me feeling like I could almost kiss the camera lens in this shot with filmmkers Charles Lim, Wee Li Lin and Elizabeth Widjaya. 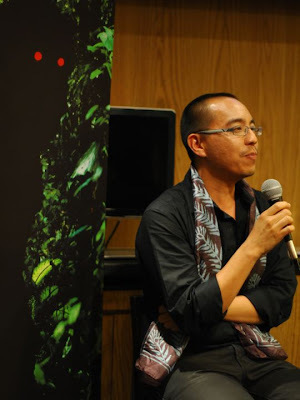 (picture by Colin Teo) The man himself in his quiet splendour- Apichatpong Weerasethakul, director of 'Unclee Boonmee Who Can Recall His Past Lives'. 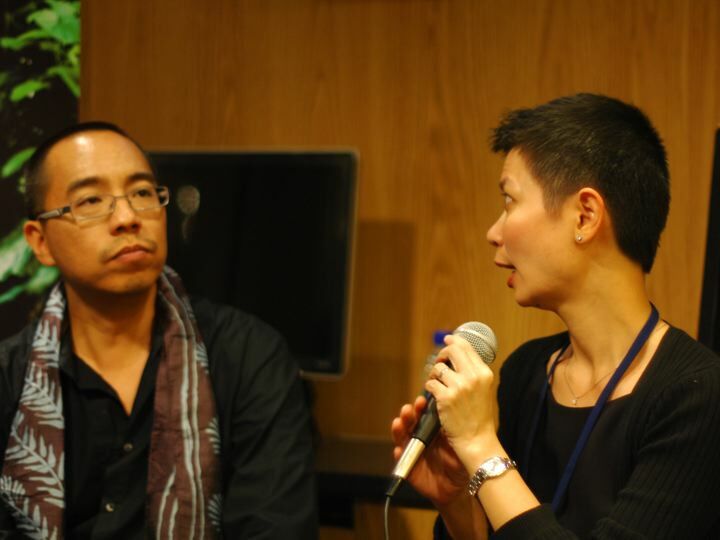 (picture by Colin Teo) Karen of the Asian Film Archive with Apichatpong during the post-screening Q & A. (picture by Colin Teo) I was basically stuttering when I approached the auteur for an autograph, whose films I have watched repetitively on DVD and the big screen. Looi Wan Ping, one of the photographers of the night and local filmmaker (White Days) is engrossed in his duty. This photo taken by Colin Teo is particularly interesting given the 'motley bunch' effect formed by the people here.